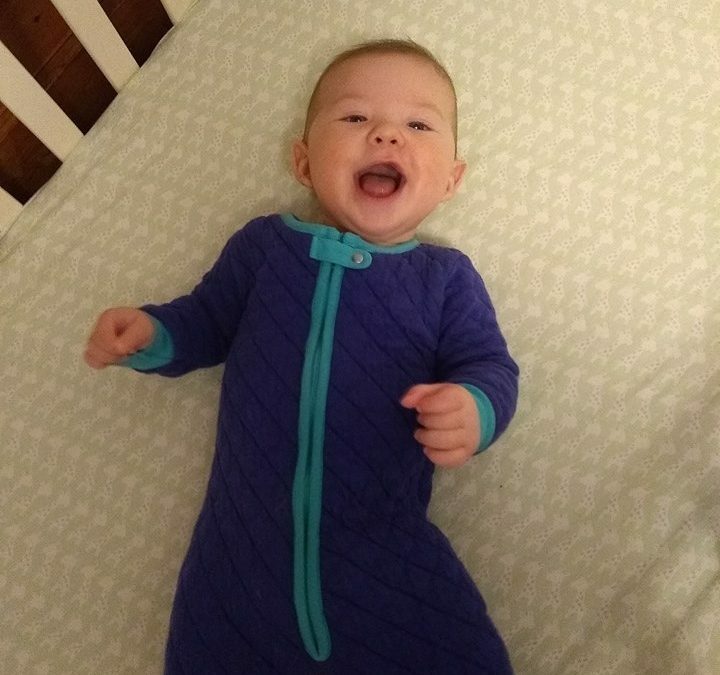 Last night I had put my son to sleep in a onesie with buttons. 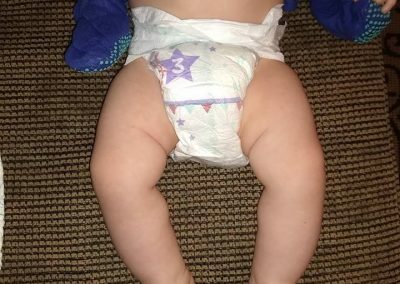 As any parent knows, these can be a nightmare for diaper changes. 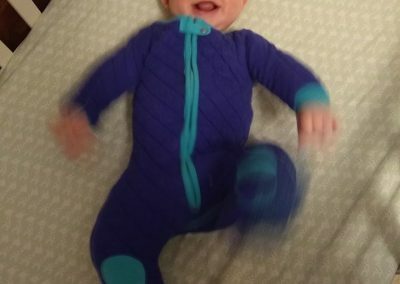 This particular onesie was a striped one with the words little brother on it. Super adorable. For diaper access you had 8 buttons across the bottom. When babies wake up for a nighttime feeding and diaper change, they are not happy. You’ve been there, it wasn’t pretty. We’ve all tried to button up buttons with a kicking and screaming infant. It’s no day at the beach. Especially with 8 buttons. This had me wishing for my Sleepsie that I received from Baby Dee Dee that was in the wash. I had already tried it out on my Little Caterpillar for a few days, and it was AMAZING! 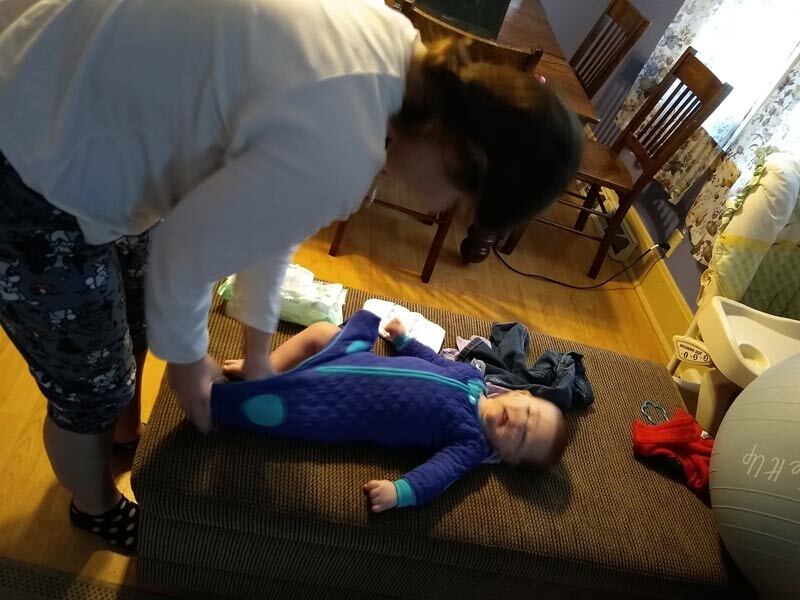 I received a Sleepsie from Baby DeeDee so that I could check the product out and write some honest words about it. 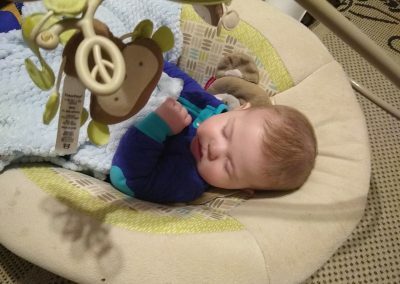 I can’t say enough good things about this baby sleeper. 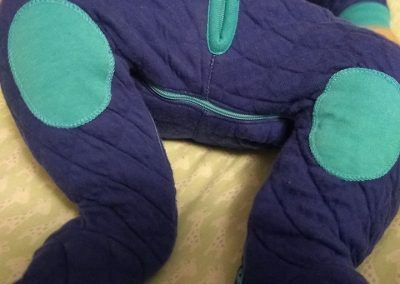 Instead of millions of buttons that are hard to line up and resnap, the Sleepsie Footed Pajamas some with a zipper in the diaper area. 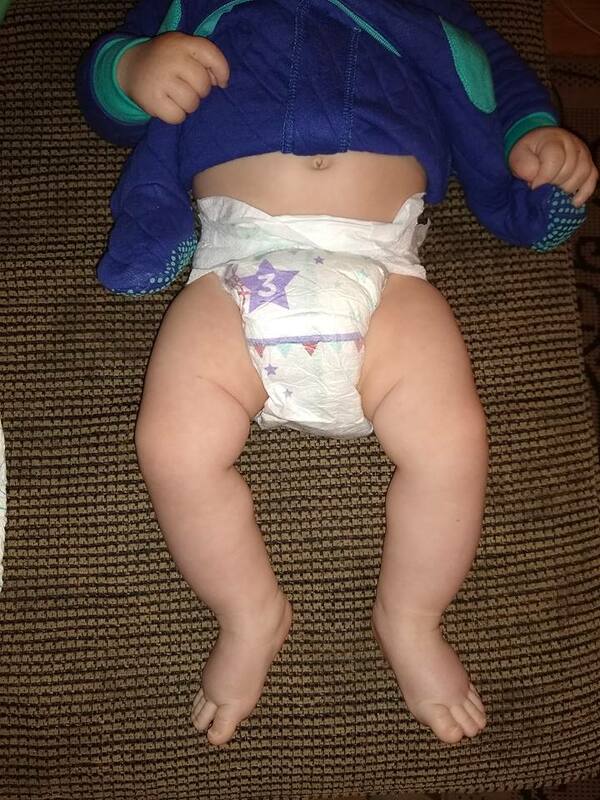 This made for easy unzip access to the diaper. The other great part about this zipper feature was that Caterpillar was able to stay warm while I was doing his change. 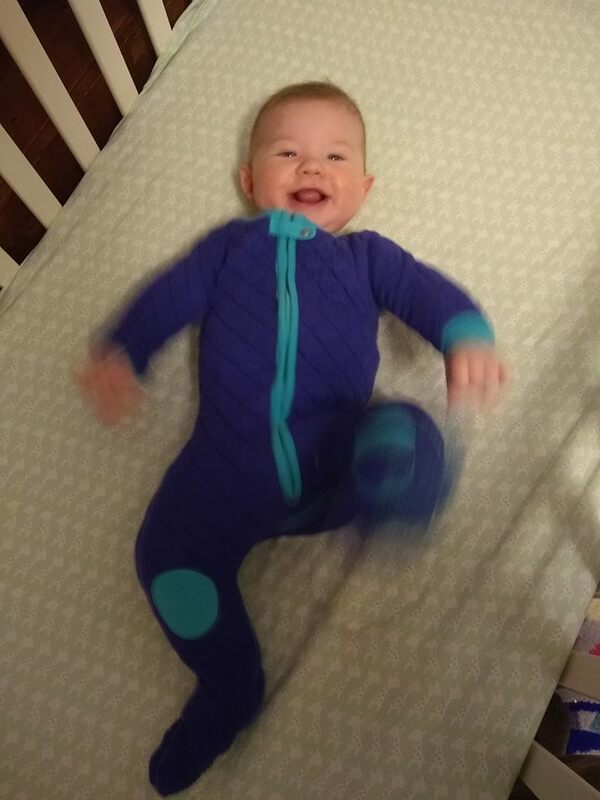 Most baby pajamas that have a zipper go all the way from head to foot. 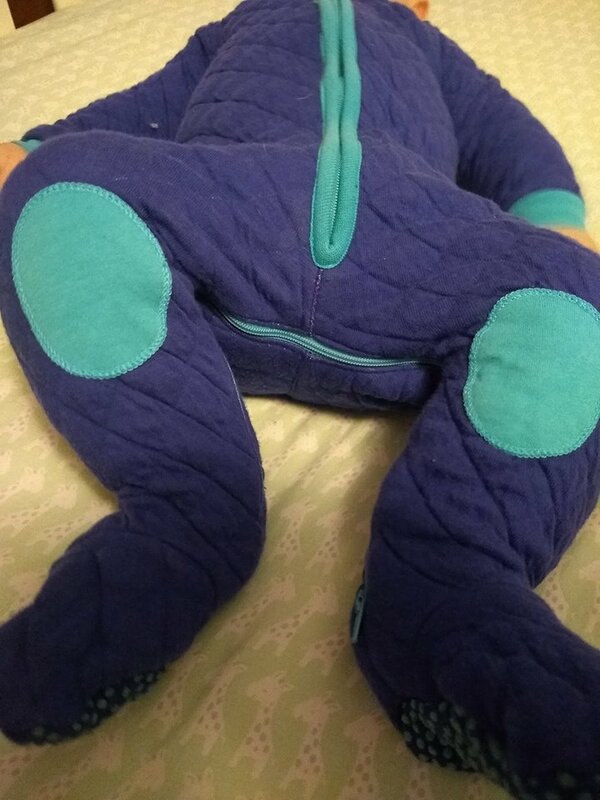 When you change the baby, you have to upzip the entire front and leave baby exposed to the cold nigh air. With the Baby DeeDee sleepsie, I just had to unzip the bottom and slide it up a little. His whole top half was covered in the warm quilted material the entire time! Comfortable, Warm, and Cute Beyond Belief! Little Caterpillar slept great in this sleeper. The soft, quilted material looked so warm and felt so comfortable. I wish they made them in adult sizes! The company has verified that they do not, so that was a little sad. Hah! We took Caterpillar over to my dad’s house for dinner while he was in the Sleepsie, and my stepmom commented on how cute the pajamas were without any prompting from me. It was the first thing she said! 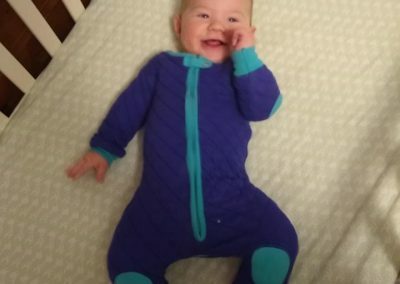 Check out some pics I snapped of Caterpillar in the Sleepsie! Where Can You Get A Sleepsie? In case you missed my links above, I’ll link to the site right here. I’m still mad that mine had to spend a few days in the laundry basket. I wish he could wear it all the time for the comfort and ease of use! One note that I wanted to make. 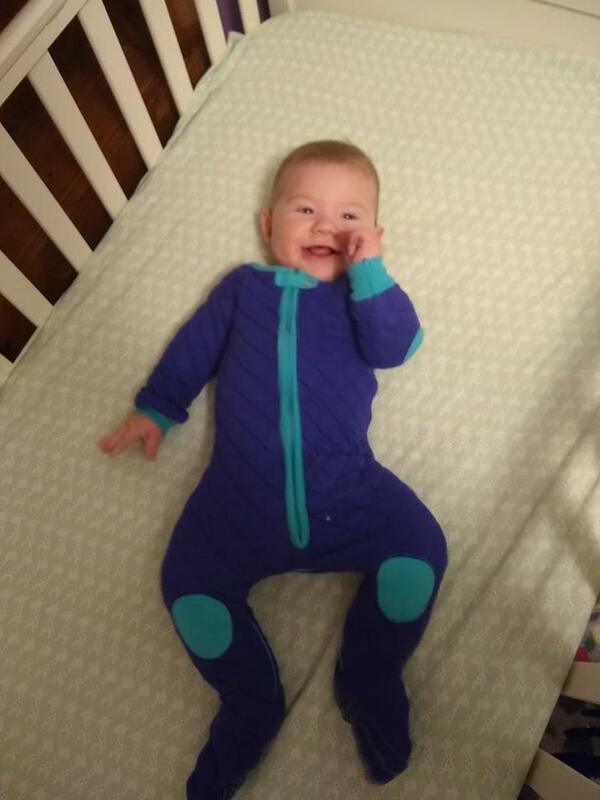 Caterpillar is 5 months old and a 6-12 months Sleepsie fit him pretty well, so you may want to buy a size big. It can’t hurt to buy big because if it’s a little loose, they will grow into it and you can use it longer! Another note that Caterpillar is a pretty big boy for his age, so this may have factored in as well. Check out the sizing chart on the Baby DeeDee website and I’m sure you won’t go wrong! So! Let’s open up for a discussion! 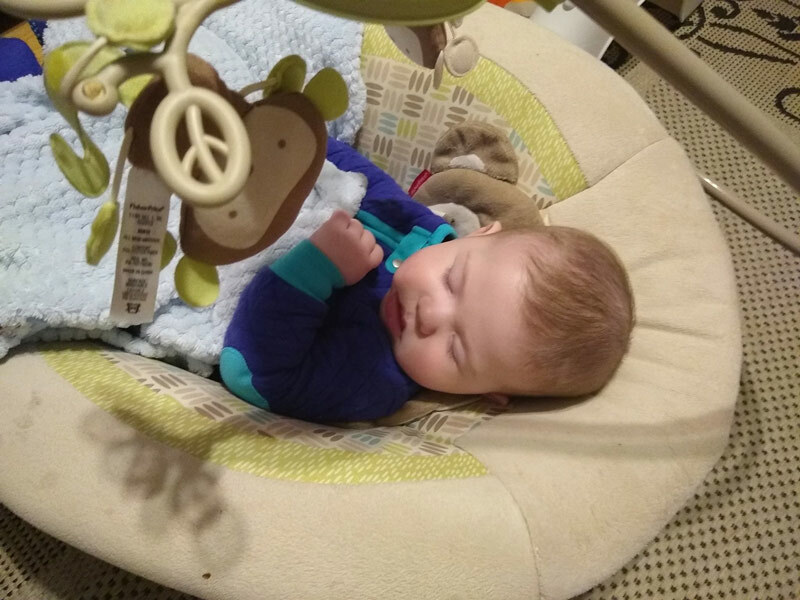 Have you tried a Sleepsie or any other Baby DeeDee products? I’d love to hear your thoughts on the Sleepsie, and also hear what other awesome products you have used of theirs! 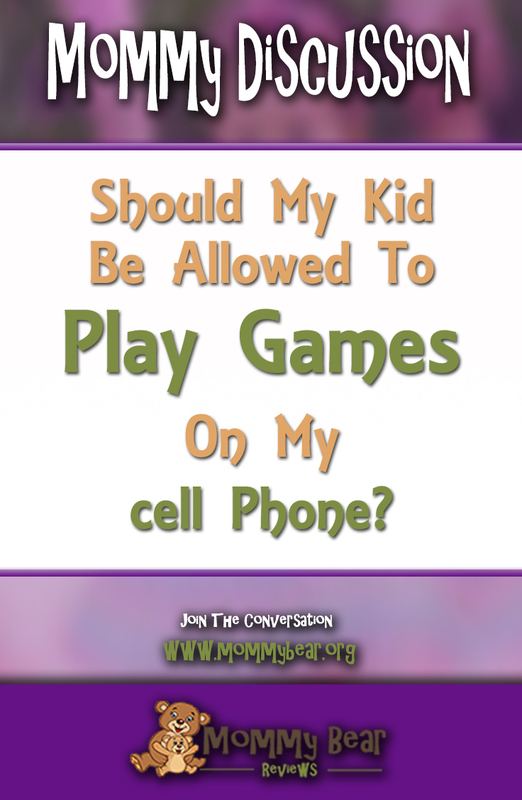 Should I Let My Kid Play Games On My Phone?